Every self-respecting, Bible-believing evangelical wants to read the Bible “literally.” No one wants to be called a “spiritualizer” or accused of (un)intentionally “allegorizing” the “plain meaning of Scripture.” But what does it mean to read the Bible “literally”? On one hand, it is mistaken to read a passage text differently than the author intended. A well-formed grammatical-historical approach to interpretation affirms authorial intent and the possibility of discerning meaning in a text. On the other hand, it is mistaken to read the biblical text so rigidly (read: literalistically) that in the name of seeking the literal meaning of the text we miss the meaning of the Bible’s divine author. But how do we discern the difference? The best way I know is to watch and learn from Jesus himself. Jesus is constantly reading the Old Testament and applying it to himself in ways that may not be immediately obvious. 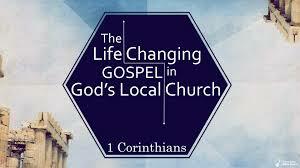 In the beginning, his disciples are confused by his interpretive methods, but after three years of being with Jesus coupled with the arrival of the Spirit, we find them testifying to Jesus by means of the same hermeneutic. (See George Smeaton’s trenchant comments on Christ’s own system of hermeneutics). In other words, followers of Jesus not only know who Jesus is; they also know how he fulfills the Old Testament Scriptures. This is what Jesus describes in Matthew 13:51–52 and what he models in a passage like Matthew 17:10–13. Who is the Real Elijah? Coming down from the Mount of Transfiguration, where Jesus was seen with Moses and Elijah (Matthew 17:4), Jesus’ disciples asked him a question related about the great prophet’s return and his preparatory work for the great day of the Lord. To this question, Jesus teaches them and us how to understand Malachi’s prophesy about Elijah. For all the Prophets and the Law prophesied until John, 14 and if you are willing to accept it, he is Elijah who is to come. 15 He who has ears to hear, let him hear. In explaining the ministry of John the Baptist, his heaven-sent forerunner (see Matthew 3:1–3; Mark 1:1–3), Jesus explains that John is the “Elijah who is to come.” In other words, he applies the prophesy of Malachi 4:5–6 to the person and work of John the Baptist. At the same time, he prefaces his statement with the “if you are willing to accept it” and adds “he who has ears to hear, let him hear.” With such qualifications, Jesus expects some (perhaps many) in the crowd not to understand John as the Elijah promised in Malachi. For those expecting a literalistic fulfillment of Malachi 4, John the Baptist is not the same person as Elijah and thus could not be the fulfillment. In Matthew 17, John’s ministry is brought up again when Jesus speaks of the resurrection of the Son of Man (v. 9). This reference to resurrection was not yet understood in the personal resurrection of Jesus, but in the corporate resurrection of Israel on the last Day (see Martha’s understanding in John 11: 24; cf. Daniel 12:1–2). Since Jesus is speaking of his resurrection, the disciples are looking ahead to the “great and awesome day of the Lord” (Malachi 4:5), which is preceded by Elijah. But Jesus redirects their attention to the present. He says that the Day has already begun in the ministry of John the Baptist; Malachi 4 is not a future reality. It is present. God sent John as “my messenger” to prepare the way for the Lord’s coming (Malachi 3:1; Mark 3:1–3). Therefore, John the Baptist is the Elijah promised before the day of the Lord, and just as Malachi 4:6 says, he turned the hearts of the children to their fathers. That is, he led the nation of Israel in a baptism of repentance, turning their hearts back towards Yahweh. Matthew concludes, “Then the disciples understood that he was speaking to them of John the Baptist” (17:13). 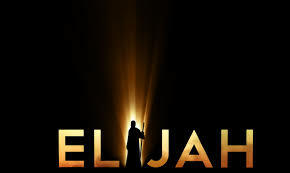 But only after Jesus lays before them how the prophesy about Elijah is literally fulfilled in John. How does this square with your understanding of literal? In one sense, the prophesy about Elijah is not fulfilled in the historical figure who contested Jezebel and the prophets of Baal, the man standing on the Mount of Transfiguration with Jesus. But in another sense, John’s life and ministry stands in unison with Elijah. Like Elisha, who took on the mantle of Elijah and surpassed it, John too stood against the establishment in Israel, wore camel skins like Elijah (2 Kings 1:8), and proclaimed the coming of the Lord. Interestingly, when Elijah is found standing on the Mount of Transfiguration in Matthew 17, his presence prompted the question about his return and the literal fulfillment of great and awesome day of the Lord. But instead of pointing to Elijah and the literalistic reading of Malachi 4:5, Jesus pointed to himself and said that day has already dawned. Jesus always points to himself when he reads the Old Testament and so should we. Jesus read Malachi literally, but he did so in a way that put Malachi in the context of his own person and work. Everywhere we look in the Gospels, Jesus taught his disciples to read the Old Testament in light of himself (see Luke 24:27; John 5:39). This passage is one more example. And it helps us to better understand what a literal reading Scripture does and does not mean.